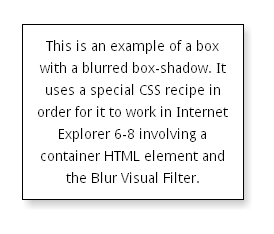 Simulating CSS3 box-shadow in IE6-8 is possible! The above is not an image. It uses Allen R. Walden’s Neon Lights font and cssSandpaper to simulate CSS3 text-shadowing in IE. 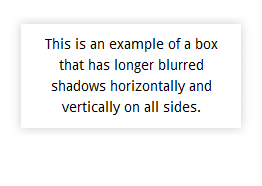 The box shadows are made with pure CSS in all browsers. CSS3 Box-Shadows are a great to quickly decorate the outside of block-level elements. 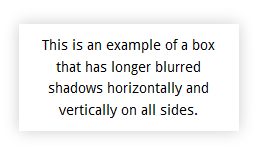 There are many CSS box-shadow recipes you can use to produce a variety of effects, including simple, glowing and blurred shadows. 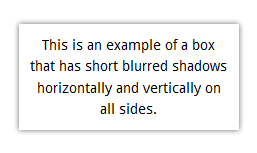 And, unlike CSS3 text-shadows, box-shadows are natively supported by the latest version of IE. However, if you want them to appear in older versions of IE (i.e. 6 through 8), you will want to learn how to use a variety of Visual Filters to simulate them. 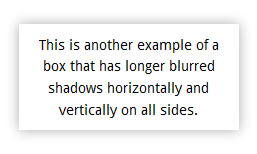 This article will cover a few CSS3 box-shadow effects, the equivalent Visual Filter recipes for IE 6-8, and the differences between them. It will also cover the differences in the CSS3 implementations in all the modern browsers. 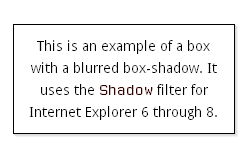 Box-shadows like the example on the left is possible in all commonly used browsers. First off, what is a box-shadow? Furthermore, there are two optional parameters, the spread (which allows you to determine the size of the shadow) as well as the inset parameter that can allow you to put the shadow inside the box instead of outside of the box. I direct readers to Mozilla.org’s great reference for box-shadow to read more on these properties, since they are not, as far as I can tell, reproducible in IE 8 or lower. 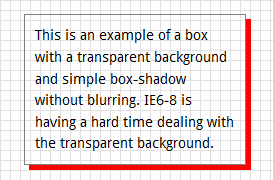 IE9 has no problem showing box-shadow except when shadowing a box within a table-cell (If the CSS of the table has its border-collapse property set to collapse then the box-shadow is not applied. Hopefully this is fixed in a future release). All these Visual Filter recipes depend on the box “having layout”. If you have any difficulty with the Visual Filters activating, set zoom: 1 or a static width inside the IE6-8 specific CSS to force the block to have layout. 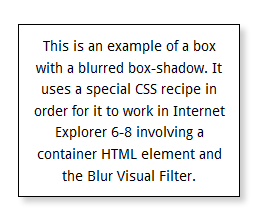 This is an example of a simple box-shadow without blurring that also works in IE6-8. There are two exceptions to this solution. The first deals with when the block has a transparent background, and the other has to do with negative box-shadow offsets. 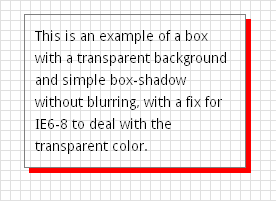 This is an example of a box with a transparent background and simple box-shadow without blurring. IE6-8 is having a hard time dealing with the transparent background. The results in IE7 are as hideous and unreadable as the average YTMND page! In order to fix this issue in elderly IE, one must add a background color in IE6-8 only and remove it with the Chroma filter (more information on this technique can be found on my previous blog post, How to Make ClearType, @font-face Fonts and CSS Visual Filters Play Nicely Together). without blurring, with a fix for IE6-8 to deal with the transparent color. Note: All the other types of box-shadow recipes that follow should also use this Chroma filter method when it is desirable to have a transparent background in the box itself. Note that one could also make use relative positioning and use the CSS top and left properties to do the same thing in IE. I leave it up to readers to decide which method would be more appropriate for the situation they find themselves in. 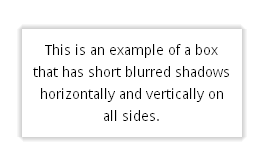 This is an example of a box that has short blurred shadows horizontally and vertically on all sides. Note that the color in the Visual Filter syntax is lighter than the CSS3 one. In order to get the equivalent IE color, I take a screenshot of the CSS3 box-shadow, open the image in The GIMP or Photoshop, and find the color that is just outside of the box. This is the color I use in the IE syntax. If you don’t want to go through all this trouble, you can also guess, which is what I do if I’m lazy. Which is a lot of the time. 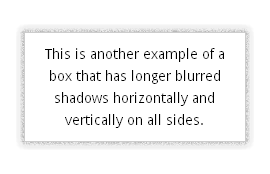 This is an example of a box that has longer blurred shadows horizontally and vertically on all sides. 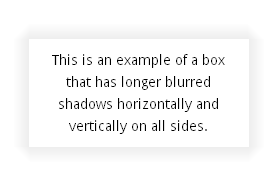 This is another example of a box that has longer blurred shadows horizontally and vertically on all sides. They are all slightly different. It is almost impossible to be pixel perfect with blurred box-shadows unless you give different rules to the different browsers using vendor-specific prefixes. As mentioned before, the CSS for IE6-8 uses a lighter color for the shadow. This is due to the way the Shadow filter behaves: it requires a lighter shade to simulate the same effect. 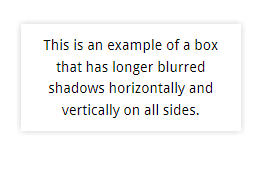 This is an example of a box with a blurred box-shadow. It uses a special CSS recipe in order for it to work in Internet Explorer 6-8 involving a container HTML element and the Blur Visual Filter. 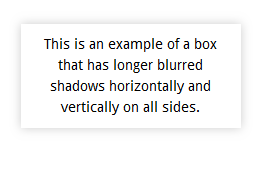 This is an example of a box with a blurred box-shadow. and the Blur Visual Filter. * Margins must be added here to place the box above the shadow correctly. * The margin-left and margin-right properties should be -2 times the CSS3 x-offset. * The margin-top and margin-bottom properties should be -2 times the CSS3 y-offset. Yes, the Legacy-IE Specific CSS as long and as painful like a meeting with your accountant, but it gets the job done. These Visual Filters CSS recipes can come handy when you want IE6-8 to have similar box-shadow effects that modern web browsers have. There are probably other types of box-shadows that can be handled using them, and if you are interested I encourage those with time and patience to check out Microsoft’s reference to Visual Filters and start playing with them. 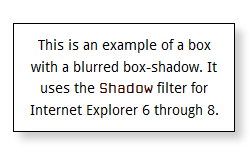 Although Visual Filter support will probably be taken out of IE10, developers won’t need worry since IE9 already has box-shadow support — these experiments should only be used to add box-shadow support in older versions of IE. 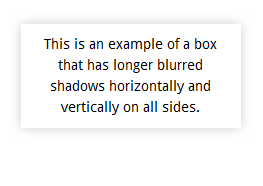 This is an example of a box with a blurred box-shadow. 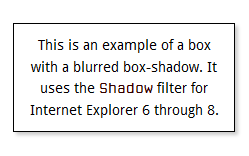 It uses the Shadow filter for Internet Explorer 6 through 8. This difference may or may not be important to you, and again, I leave it up to the reader to decide what the right solution would be according to the situation. I had to give up on this trick because the box shadow transform had odd side effects. 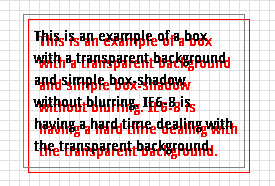 I can’t remember if it was IE 7 or 8, but hover effects caused bizarre font problems on any text contained in the box. It also changes the size of the component. So for instance if you try to put a shadow on jQuery dialog boxes, it gets very confused and causes repaint/resize issues. @Jason: I have never seen the side effects you encountered, but would love to see an example of one. Would you happen to have one you can post or put in jsbin? Great work zoltan, just great work. This is by far the best workaround I’ve found for IE. Thanks for sharing! Have you tested it, or do you think it would have any issues working with your cssSandpaper rotation and scale transformation effects? I’m trying to get this demo to work in IE using your workarounds. @Neil: Thanks for the kudos. Out of sheer coincidence, I am working on something similar for a client, and produced a proof of concept which has a similar look, and it works in IE. Note that currently this is implemented with two nested div tags: the first has the rotation, and the second has the box-shadow (as well as the rest of the style of the polaroid). This is necessary for the time being until I fix cssSandpaper to handle both in one block-level element. In order to do what you are doing with the random looking rotations with the :nth-child pseudo-selector, I would suggest using selectivizr to use them in IE. Thanks for writing in and sharing your demo. I only wanted to thank you for the great recopilation you did there! No problem. A little of topic, but I’d love to see your solutions to the radius transform effect for IE. so how exactly should my ie8 fix look like, when inluding rgba in stead of hex? @diew: Unfortunately, you cannot use RGBA colors using the filter syntax. You may have to play around with color settings to simulate it. It is the limitation of using the shadow filters. Good trick & hack! Thanks for sharing! Good job! I think this could be integrated into cssSandpaper to make it easier, right? Can you do inset for IE7? @Jaideep: You may want to look at my previous blog post How to Make ClearType, @font-face Fonts and CSS Visual Filters Play Nicely Together. It covers techniques to work around the text sharpness issue. @Oz: Unfortunately, there is a lot of fiddling that is needed with the Visual Filters involved and it is not an exact science, which is why I have left it out of cssSandpaper. Would be nice if it could be though. …oddly, in IE8 ONLY… IE7 and earlier seem fine. This is the best solution I have seen so far! Thanks a lot for sharing! The only culprit of using IE filters is that they omit anti-aliasing of text and objects inside the container to which the filter was applied to. But for regular-sized text, this is not that much of a problem. @Rubix: The anti-aliasing text issue may be solved by the techniques used in my previous blog post How to Make ClearType, @font-face Fonts and CSS Visual Filters Play Nicely Together. Although the title does mention @font-face, this technique will work with any fonts, embedded or not. @Abell: take a look at the example in the “Type 1b: Negative Shadow Offsets” section above. If it only is messing up in IE8 only, then just use an IE8 rule (although I am surprised that this is the case). How to make a shadow inset fo iE7 / iE8 ? @Gabriel, @pao: To my knowledge, it is not possible to do anything like this with Visual Filters. I was going to suggest the excellent CSS3 Pie polyfill library, but it doesn’t seam to support inset yet (according to the documentation, it is scheduled to be implemented in a future version). 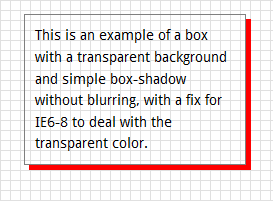 Hello, I have used the code for the Glowing box-shadow and it works good with ie8, but it also replaces the normal box-shadow for ie9 and doesn’t show the top border. How can I fix this?, Thank you. @Jona: You may want to ensure you are only applying the styles to IE 8 and lower by using the conditional comments strategy given in the What About IE section of the article. Thank you very much for such a wonderful piece of craft work. I was wondering to have a shadow box on ie-8. And I found after reading and trying bunch of codes and blogs and at last I found this nice art work here. You are the man who has made developer/designer life much easier. Awesome Tutorial.. Thanks for the information. I am able to create a box shadow in IE7 and IE8 using the technique that you have illustrated. The only problem that I am facing is the filter gets attached to all the child elements of the parent div which makes all the child elements “Shadow-ed” as the parent element. I have tried different styles “filter:none;” for the child elements but that doesn’t work for me ..
can be applied to Parent Element only and all the child elements DOES NOT get affected by them..
You can also do this with the Shadow filter as well.